Our Annual “12 Days of Christmas” Sale 12/6 – 12/17 | Dance Supplies, Etc. It’s back – our always popular “12 Days of Christmas” Sale! 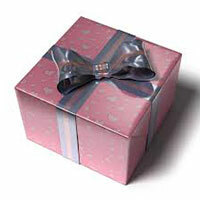 It’s a great way to save while shopping for gifts for all of the dancers in your life. Wednesday, Dec. 6: 20% Off all T-shirts! 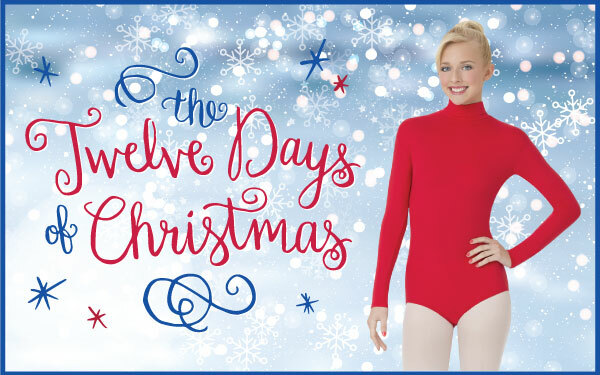 Thursday, Dec. 7: 20% Off all Leotards! Friday, Dec. 8: 20% Off all Sweatshirts and Sweatpants! 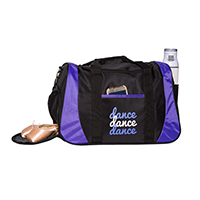 Saturday, Dec. 9: 20% Off all Dance Bags! Sunday, Dec. 10: 20% Off all Knitwear! Monday, Dec. 11: 20% Off all Pointe Accessories! 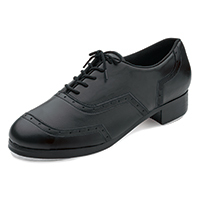 Tuesday, Dec. 12: 20% Off all Tap Shoes! Wednesday, Dec. 13: 20% Off all Hair Accessories! Thursday, Dec. 14: 20% Off all Tights! 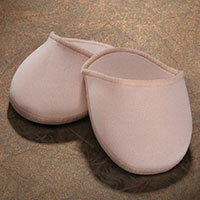 Friday, Dec. 15: 20% Off all Ballet Slippers! Saturday, Dec. 16: 20% Off all Skirts! No coupon necessary. Discounts good for in-store purchases and in-stock items only. Dec. 17 discount may not be used towards gift cards.